Looking for an anti-wrinkle cream with moisturising benefits? Try Kollagen Intensiv - Collagen Renewal For Ageless Skin from Skinception. It is a scientifically formulated anti-ageing cream that naturally increases collagen production to reduce the appearance of fine lines and wrinkles. After using this anti-ageing formulation, you will no longer need a cabinet full of expensive creams. 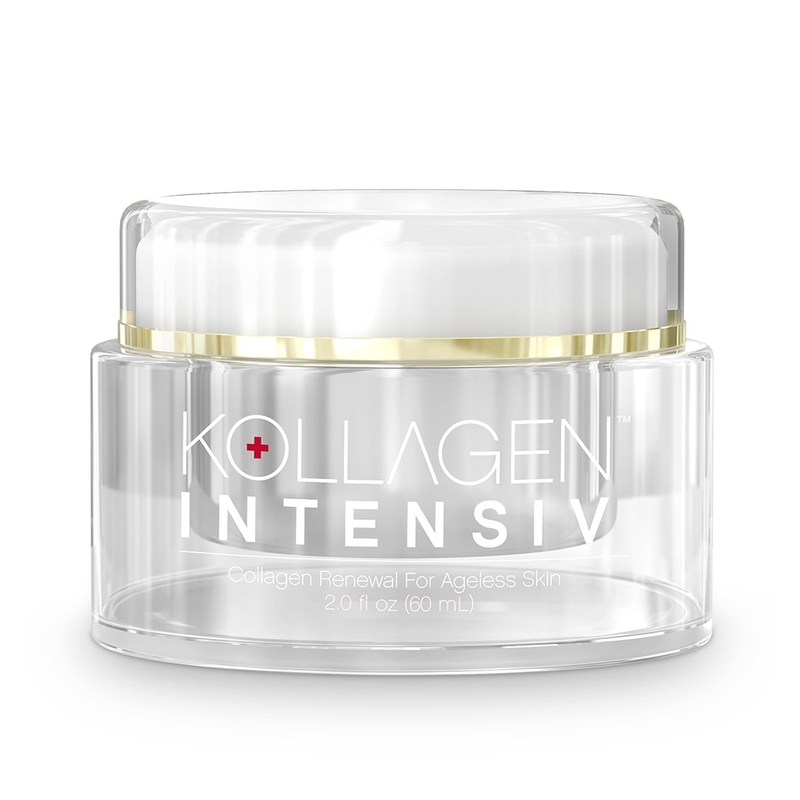 Kollagen Intensiv - Collagen Renewal For Ageless Skin is all you need in a single jar. Place your order with us before 4 pm to get free next day delivery. 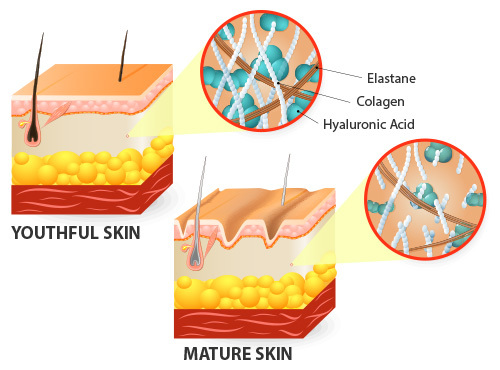 Why Kollagen Intensiv™ Collagen Renewal For Ageless Skin? 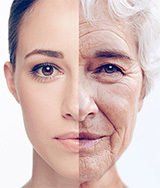 Collagen, which is the connective tissue in the skin, is gradually lost as we age. Reduced collagen leaves skin less elastic, making it prone to signs of ageing like wrinkles, fine lines, crow’s feet and dark circles. You can restore the youthful radiance of your skin by boosting collagen production. Collagen injections or fillers are available for rebuilding these connective tissues, but the treatment is painful and expensive. Kollagen Intensiv™ Collagen Renewal For Ageless Skin is believed to have similar effect at a much affordable price. This anti-ageing treatment boosts collagen production to help reduce those tell-tale fine lines and wrinkles. Firms and tones skin to make it look young and radiant. Kollagen Intensiv™ Collagen Renewal For Ageless Skin contains natural and clinically tested ingredients like Glycerin (Plant Derived), Tocopherol (Antioxidant), Palmitoyl Tetrapeptide-3, Ascorbyl Palmitate (Vitamin C Palmitate), Retinyl Palmitate (Vitamin A Palmitate), Magnesium Ascorbyl Phosphate (Stabilized Vitamin C), Hydrolyzed Hibiscus Esculentus Extract, Acetyl Hexapeptide-3 & Palmitoyl Oligopeptide, Hesperidin Methyl halcone, Glycine Soja (Soybean) Oil, Gluconolactone (Corn Derived Preservative), Dipeptide-2 & Dipalmitoyl Hydroxyproline, Cucumis sativus (Cucumber) Fruit Extract , Camellia Sinensis (Green Tea) Leaf Extract, Avena Sativa (Oat) Kernel Extract & Retinol. 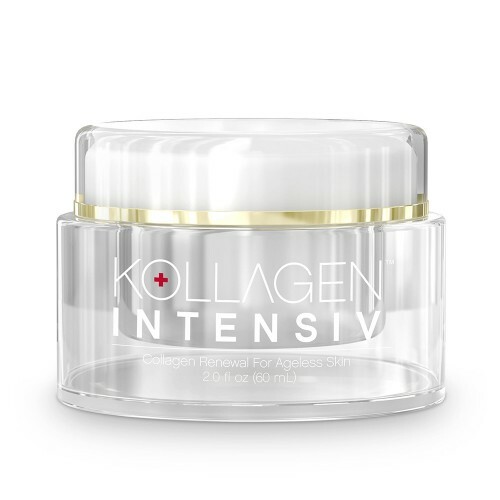 How to use Kollagen Intensiv™ Collagen Renewal For Ageless Skin? Cleanse you face with a gentle cleanser and pat dry. Take sufficient amount of Kollagen Intensiv cream and gently massage it all over your face. For optimal results, we recommend using the cream twice a day, preferably morning and night. Unlike other anti-ageing formulations on the market, Kollagen Intensiv™ Collagen Renewal For Ageless Skin is free from any kind of harmful chemicals like parabens. Considering that ageing skin is delicate and sensitive, only natural ingredients have been added to the cream. It is a gentle yet effective formulation that helps you regain youthful appearance. You can order for Kollagen Intensiv™ Collagen Renewal For Ageless Skin with us now simply by clicking ‘Add to Basket’ option.